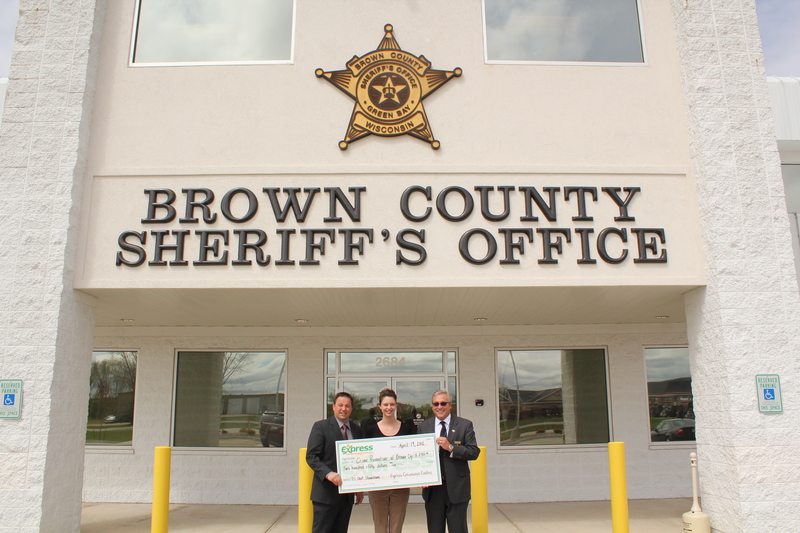 Shelly Pakala, Express Convenience Stores, (middle) presents a check of $250 to the Crime Prevention Foundation of Brown County to Brown County Sheriff’s Office Chief Deputy Todd Delain (left) and Brown County Sheriff John Gossage (right). 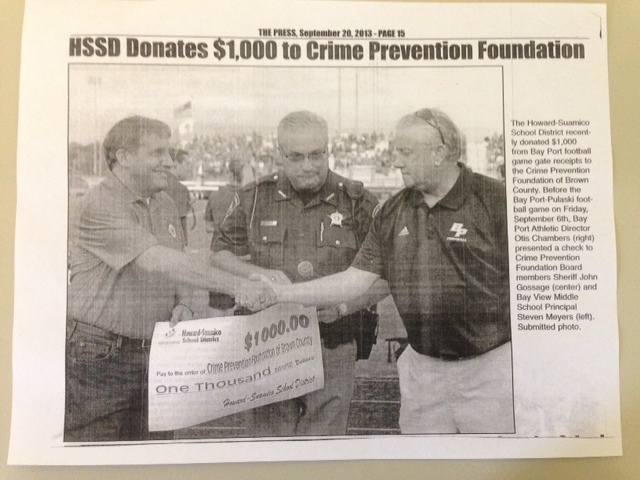 Express Convenience Centers donated the $250 to the Crime Prevention Foundation as a result of the “Dashboard Dining” contest. 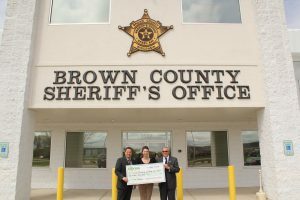 Murphy in the Morning represented the Foundation with his sandwich featuring succulent oven-roasted turkey, fresh American cheese and mayonnaise on a wheat Kaiser. 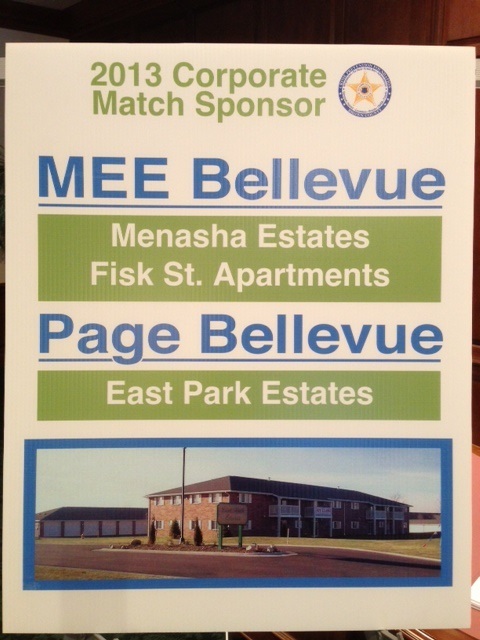 Thanks to “Murph” and Express Convenience Centers.